Happy Monday stampers!! 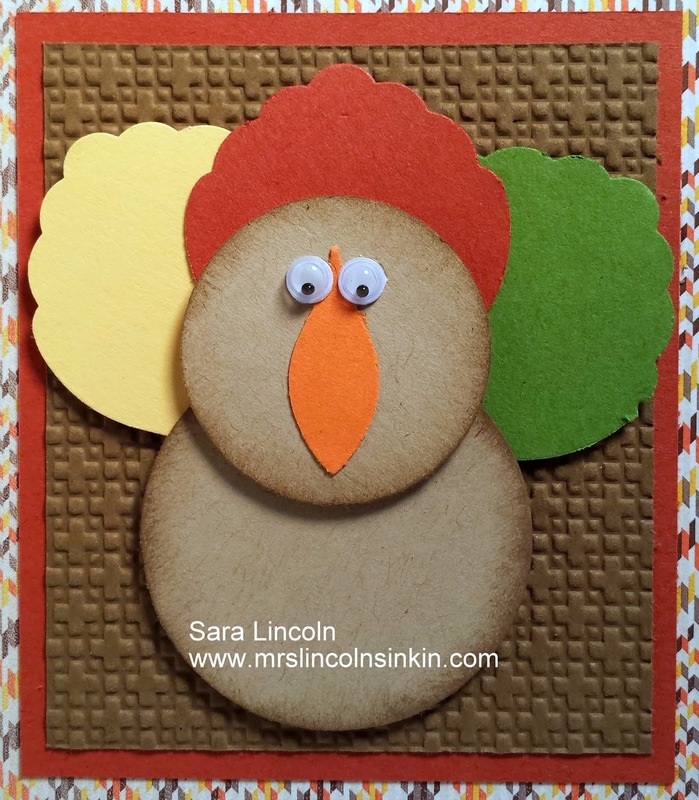 Welcome to Mrs. Lincoln's Inkin'!! 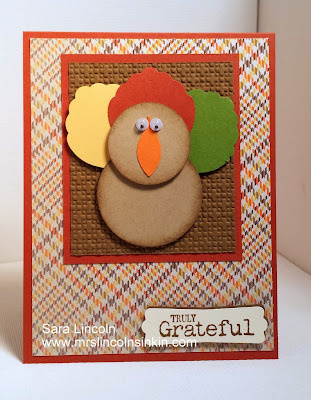 Today's share is a super cute, punchy, Fall or Thanksgiving card. 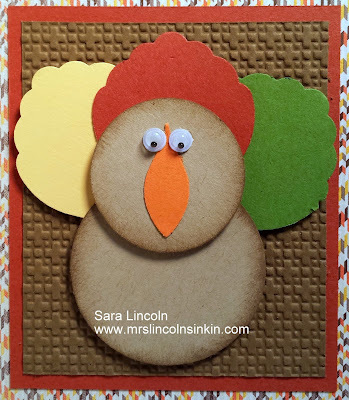 A few weekends ago when i was at the scrapbooking retreat that i want on with my Momma, i was doing a Thanksgiving page in my daughters book and i came up with this little guy. I couldn't wait to get home and put him on a card!!!! I just LOVE him!!! Little did i realize when i was making him though that the punch that i used for his feathers (i call it the Blossom Builder Punch) is retired. Sad but true:( But you could use any punch really that has some sort of scallop to it for his feathers.